If you had read this article by my Mom on Grandmother’s Wisdom, you will be delighted to read this one from my Mother-In-Law. I am so grateful that I get to share their wisdom with you and I hope you enjoy reading what they have to say. 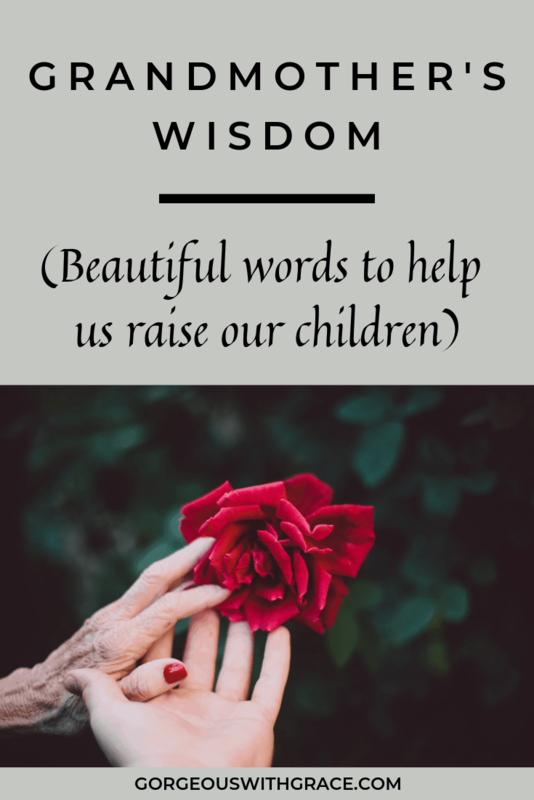 There are beautiful “nuggets of wisdom gold” that will make your life and parenting so much easier. I decided to break down the word “WISDOM” as the content of the word is acquired over many years; in my case 67 years so I probably still have more to learn. The ‘W’ I feel should represent the ‘WAY’ your journey in life has led you. There are left and right turns and of course, straight ahead options. Think carefully about the choices that you make on the journey forward, as these will impact you for the rest of your life. If you find yourself on a wrong path try and find a better way before you have traveled to far down a road of no return. Focus on and treasure the good memories and when you hit those potholes in life’s road along the way you are able to get back up, dust yourself down and continue forward with perhaps only a few scars. The ‘I’ represents ‘INTEGRITY’ and your journey with out this necessary characteristic in your life there will be huge consequences, which you will have to eventually face. The ethical way for your journey is simply do what is right the 10 Commandments say it all. One should be able to look oneself in the mirror and say that you are happy with yourself and the decisions that you have made and the actions that you have taken. The ‘S’ has a simple message, which engulfs hundreds of moments where you can practice being ‘SELFLESS’. There is nothing more rewarding than ‘doing unto others as you would like done to yourself ’ without expectations of anything in return. The list is endless but the main ingredient is love. Your heart must first be filled with the Joy of the Holy Spirit before you take one step to give of yourself. Love overcomes everything and allows you to be selfless and to consider others needs above your own. I love the use of ‘D’ in this story ‘DETERMINATION’. Don’t give up believe in yourself ‘ It’s not hard till it is impossible’. You can succeed, you can overcome situations, and you can make dreams come true so make sure you have those dreams in place. This all takes effort and a simple ‘ I don’t feel like it’ or ‘I can’t be bothered’ will make you lose all the momentum and determination that you have mustered up to handle any situation. The ‘O’ is linked to determination but it is a deeper and harder part of life’s journey. You have to ‘OVERCOME’ your failures and set backs by digging deep and turning them into positives. Recognize the value of effort made to overcome sadness, rejection, pain, grief, illness, and pat yourself on the back making a stand to go firmly forward with purpose. A life without purpose is not worth living. Leave the negatives behind you, do not bear grudges or get bogged down use these set backs as learning curves towards a better life going forward. Yes, a curved ball was thrown at you but what a feeling of triumph when you can accomplish a positive out of a negative. Not many words end in ‘M’ so this is a fortunate opportunity for me to use the word ‘MENTOR’. We all need Mentors in our life and should recognize and acknowledge the important role that they play in shaping our lives. Beginning with our mothers, fathers, teachers, husbands, wives, and work colleagues you will glean pearls of wisdom from each of these mentors during your life. When I reflect on my past it is so clear how certain advice and teachings from those mentors have played such an important role in my journey. Try and find good mentors who can assist you in being a more capable and knowledgeable person so that you yourself can be a meaningful mentor one day. So where to now for me! How exciting to be a mother and a granny and hopefully a great granny one day (not too soon I hope!). But right now I find the role of a being a grandmother so important as part of the support system for all your children and grandchildren. In so much as you try to assist them with their own parenting and marriage challenges sharing with them some of the wisdom you have gained and love them through their different challenges. When I dwell on these moments I find myself wanting to touch, hold, love and soak up those grandchildren with such passion. Even when disciplining them (I am known as a quite a strict granny!) I have the urge to teach and protect them, at the same time loving them through those despairing moments. Just being there if possible to help hold them up, picking up the pieces and sharing the load. 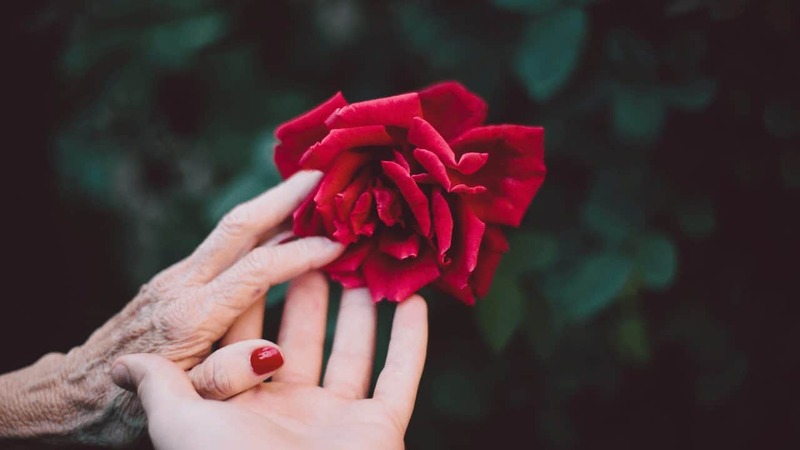 To all grandmothers you are officially off duty – you are, after all, not responsible or accountable for raising your grandchildren and shouldn’t take it personally if they don’t turn out quite how you would have wanted or expected. They, after all, have a little bit of you in them and hopefully, you have and still can, add value to their lives through loving guidance and mentorship. I believe however that your most important role is to give, to touch, to understand, to laugh, to cry, to teach, to pray and to, most of all, LOVE those special gifts that are your grandchildren. I hope you gained some wisdom from my incredible Mother-In-Law, love you Chookie. Let me know what you loved most especially. Bonnie thank you so much! My darling Mom-In-Law wrote this and I love it too, I’m so glad you feel inspired and motivated.